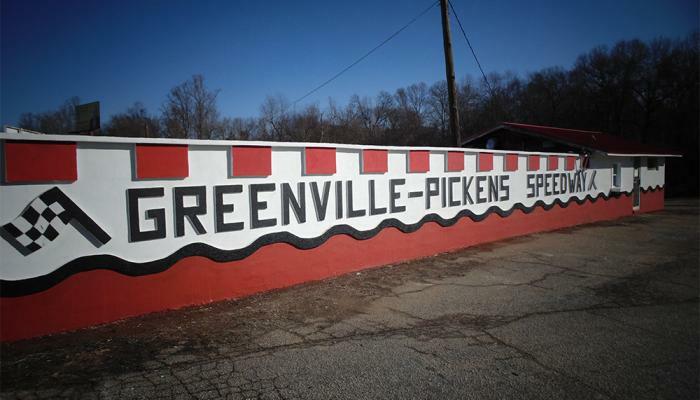 Upstate South Carolina racers and fans have been kept in the dark all winter about what was going to happen with Greenville-Pickens Speedway in 2019. Anthony Anders the 2014 NASCAR Whelen All-American Series National champion, leased the 1/2 mile track in 2015 and has been leading the charge there ever since. Last year Anders made it no secret that he wasn’t planning to renew his lease for the 2019 season and beyond and that left a hole in the plans for area racers. Rumors were swirling all during the fall and into this off-season about who would run the track. Many believed that track owner Kevin Whitaker would operate the track with the help of his kids. However, as the season came to a close Anders began renegotiating with Whitaker to lease the track long-term. It appears, even though there has been no formal announcement of such, that Anders is back in charge for the 2019 season. The track began announcing rules meetings taking place at Anders race shop later this month and tonight announced the season opener for Saturday, March 2nd. The opener will feature a $10,000 to win Limited Late Model race at the historic track. The purse will be based on car count with the purse scaling from $3,000 to win with 15 cars to $10,000 to win with 25 or more cars entering the event. More details on the race will likely be released in the coming days but it appears that Greenville Pickens Speedway and Anthony Anders are back on track for 2019 with big plans in the works including what should be a huge season opener for Limited Late Model racers on March 2nd. Anthony Anders could not be reached at the time of publishing despite numerous attempts.